SUPER COLOR transforms plain concrete into attractive decorative concrete without the harsh chemicals, the tedious process, and expense of acid staining. SUPER COLOR is a concentrated stain that dilutes in acetone (Acetone sold at your local paint store). Beginning with a properly prepared surface, these stains can be applied and sealed in as little as one day, minimizing down-time. The semi-transparent properties allow the variations in the substrate to enhance the final look. Choose from 10 stock colors, a hugely wider palette by blending stock colors, or faux finishing multiple colors to create your own unique effect. Clear-coat with Wet Look Sealer to deepen color and add gloss. Dilute 1 pint of dye to one gallon of Acetone (Acetone available at your local paint store). Stir Well. Apply with pump up sprayer. Make sure to mask areas not to be colored from overspray. Apply at 150-200 feet per gallon. Coat concrete completely. Apply with an acetone-resistant pump-up sprayer using a conical, fine-spray tip. Small areas can be brushed using a circular motion to avoid brush strokes. Take care to maintain a wet edge to avoid lines, and avoid puddling SUPER COLOR. Avoid drips: Prior to application, tape a piece of cloth or a small container to the sprayer body to catch drips while not spraying the material. Place the tip of the spray wand on the cloth or into the small container immediately after releasing the spray handle. Apply the stain uniformly to obtain a more uniform final appearance. Apply in a random, circular motion with some overlapping to generate a more mottled look and more closely resemble acid stain. Colors may be blended to produce a large palette or applied over a base color for a unique look. Depending on the depth of color that is desired, coverage rates will vary. Exterior Stain - Apply SuperSeal-25. Let dry for 4 hours for foot traffic and 72 hours for auto traffic. Maintain with Wet-Look Sealer every 2-4 years. The surface should be free of dirt and oil. Substrate should be 4 weeks old. Clean with ETCH & CLEAN to profile and clean the concrete surface. For extremely dirty surfaces, CLEANER DEGREASER is recommended. Rinse with clean water. If possible Power Wash the surface at 3000 psi. Allow the surface to dry 24 hours before applying the stain. All walls, furniture, columns, or other items/areas that you do not want to color should be masked using painter’s tape and plastic sheeting. This will protect the items from overspray. Always do a test spot in an inconspicuous area before proceeding. 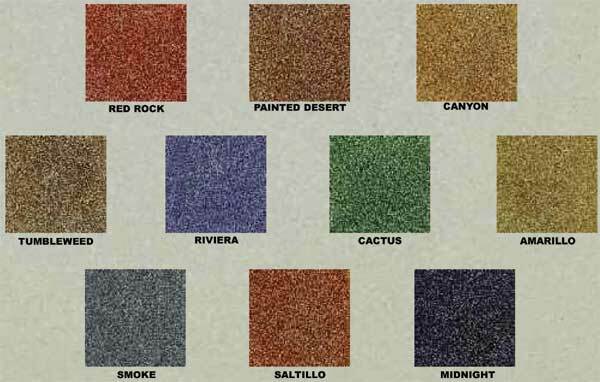 can supercolor concrete stain be used on driveway pavers?